Let's face it, we have all been there: trying to get through a busy day, filled with chaos, then, to top it off, your roots are getting visibly oily. Many curlies can relate to this, and the thought of what people are thinking, if and when they notice, can make us cringe or have us reaching for the nearest hat! The good news is that no matter how soon you need to get out out of the house in the morning, there are ways that you can hide those oily roots and get on with a productive day or a fun filled evening, worry free! So, don't panic, simply try these simple hair care tips and methods until you find the one that suits you perfectly. Obviously, no curly is the same, but if you truly want to hide your oily roots, try this quick method. It can result in beautiful, full waves of curls without the oil or the embarrassment. Everything you need to hide oily roots, you probably already have in your makeup bag! Choose your weapon. The color of your hair is going to determine which product you use. If you are a blonde or lighter shaded curly, then get yourself some baby powder. Brunettes and darker shades, grab some matte bronze to keep on hand at home, or to carry with you in your bag. You never know when you might find yourself in desperate need of some quick camouflage. Use your makeup bag tools. 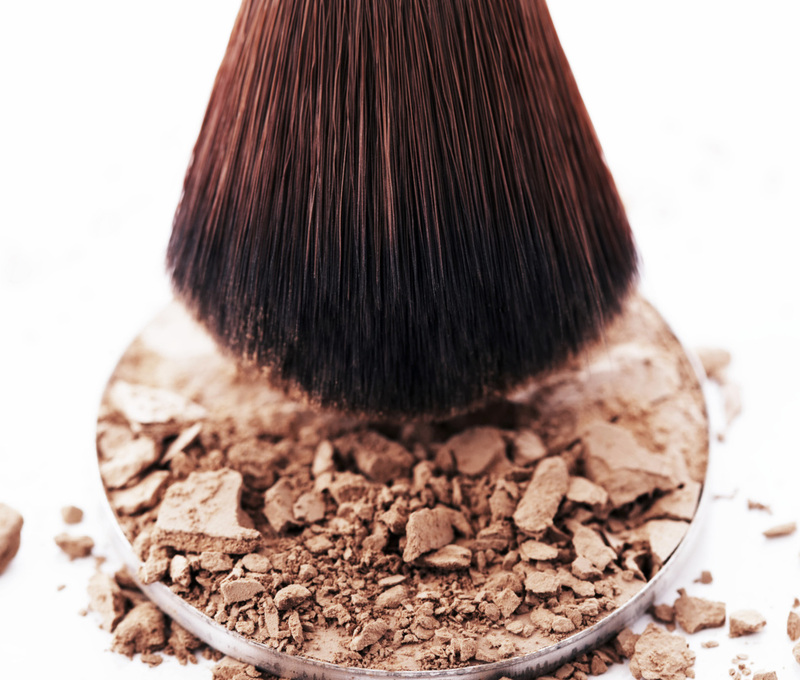 Use a big, fluffy makeup brush — yes, your makeup brush — to apply the powder to the roots. Not only does this process absorb the oil in your hair, but it also leaves it looking and feeling fresh. Be sure to only apply to the roots of the hair and avoid using too much. You also might want to keep the brush in your bag for touch ups later in the day. Shake it up! Once you have applied the power or matte, you will want to shake out your hair to get rid of any excess. Then, fluff up your curls with your fingers, or style as you normally would. If you find that you still have a few strands of hair that are oily, a quick touch of the flat iron will take care of that pesky little problem. Be sure you use the lowest heat setting when using heat styling products. You want to avoid damaging your locks, at all costs! Practice makes perfect. While this technique is a favorite of many oily rooted curlies, practice is of some importance. By testing the method a few times, you will be able to figure out how much powder or matte your hair needs. Using too much can have you leaving trails of powder wherever you go, much like dandruff, while using too little will make you feel like you are wasting your time. We bet your hair is fine! Get product recommendations to battle the oil, sans the powder. Now that you are armed with another secret beauty weapon, you will be able to go about your day without oily roots, hats, bandanas, or headbands. What are your secret hair tricks for hiding oily roots?